Special Collection: Gen. Howell M. Estes, Jr.
General Howell M. Estes, Jr., was a command pilot and first commander of the Military Airlift Command (MAC). 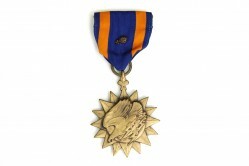 The Air Force Distinguished Service Medal is awarded to a member of the United States Air Force who has distinguished himself or herself by exceptionally meritorious service to the United States government in a duty of great responsibility. The DSM shown here has one oak leaf cluster which denotes a second decoration. General Howell M. Estes, Jr., graduated from the U.S. Military Academy at West Point in 1936, attended pilot training in 1939, and transferred to the Army Air Corps in 1940. During the Korean War, General Estes was on temporary duty overseas from March to July 1951 as vice commander of the Far East Air Forces Bomber Command. During that time, he flew 25 combat missions over Korea with a total of 328 hours in B-29s. He assumed command of the 320th Bombardment Wing at March AFB, California, in August 1951 and was named commander of the 12th Air Division in 1952. 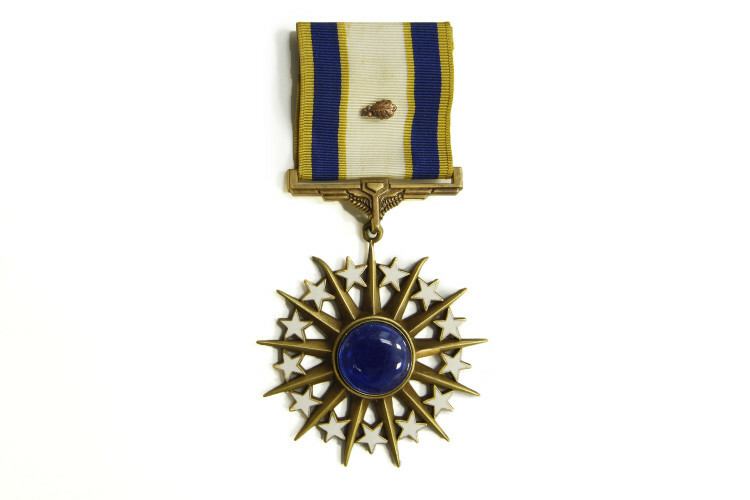 In October, as an additional duty, he was designated commander, Air Task Group 7.4, Joint Task Force Seven, for the overseas atomic test, Operation Castle. He relinquished command of the 12th Air Division in July 1953 and took active command of Air Task Group 7.4. During the operational phase of operation Castle in 1954, he spent four months at the Pacific Proving Grounds on Eniwetok Island. General Estes was assigned as Director of Weapon Systems Operations, Wright Air Development Center of the Air Research and Development Command, Wright-Patterson AFB, Ohio, in July 1954. This directorate was transferred to the Office of the Deputy Commander for Weapon Systems, ARDC, in August 1955, and became known as Detachment 1 at which time General Estes became assistant deputy commander for weapon systems, Headquarters ARDC and commander, Detachment 1. General Estes was transferred to Headquarters U.S. Air Force, Washington, D.C., as the assistant chief of staff, air defense systems, in August 1957, and was reassigned as assistant deputy chief of staff, operations, in June 1958. In April 1961 General Estes became the deputy commander for aerospace systems, Air Force Systems Command, in Los Angeles, California, and in October 1962, he became vice commander of AFSC at Andrews AFB, Maryland. 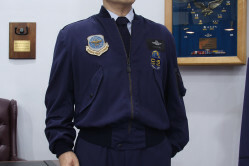 He became commander of the Military Air Transport Squadron in 1964 and was the first commander of the renamed Military Airlift Command in 1966. 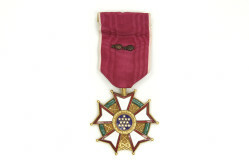 General Estes was presented the General H.H. 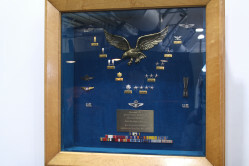 Arnold Trophy, the highest military honor given by the Arnold Air Society, on April 26, 1967 for outstanding contributions to military aviation and aerospace programs. General Estes was a command pilot. 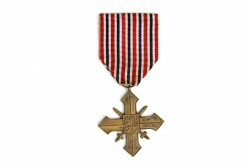 His decorations include the Distinguished Service Medal (Air Force), Distinguished Service Medal (Army), Legion of Merit with two oak leaf clusters, Distinguished Flying Cross, and Air Medal with oak leaf cluster.